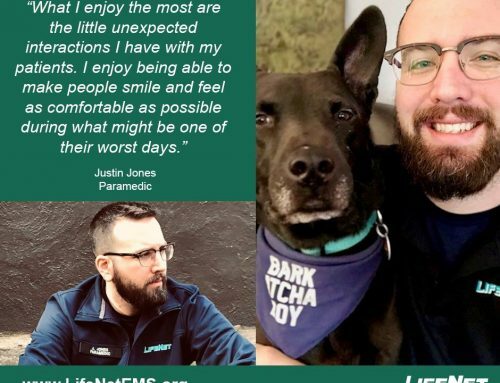 Bryan has been a paramedic at LifeNet for 29 years. 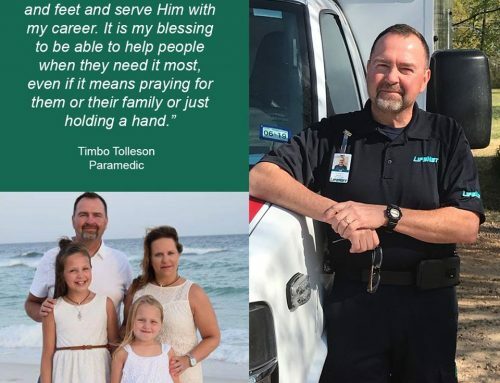 It is a career path he started after witnessing an unfortunate occurrence that happened while he was working at another job. “I was delivering home medical supplies, and I had an elderly female have a cardiac event while I was in her presence. I had to call an ambulance to help her. 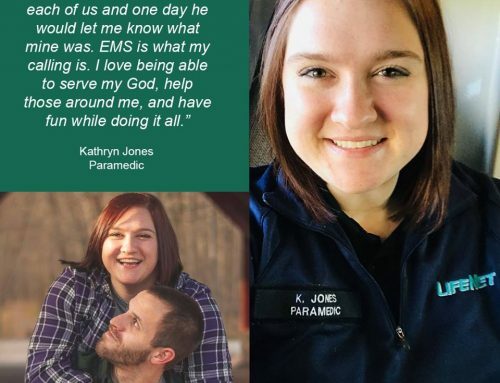 When I saw how the ambulance crew came in confident, and how they cared for the lady, I just knew that this was my calling,” he said. Bryan thoroughly enjoys what he gets to do daily. “I enjoy the freedom of being outside. 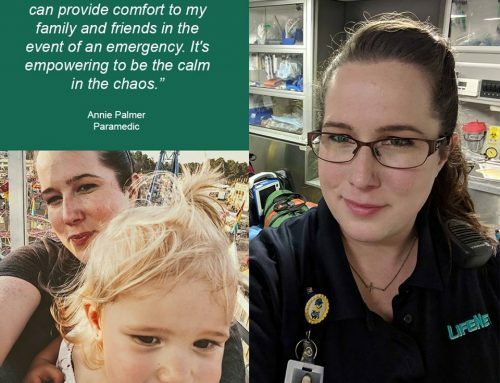 I get to help people that are having a bad day, sick, or whatever the case may be. I try to make them feel a little better and safer in the brief time that I am with them. I get to meet all walks of life and hear some truly amazing stories from some unique people. My family and my friends have always supported my career choice and agree it is my calling. I guess they are right since I’ve been lucky enough to have been helping the people of Texarkana and surrounding areas for all these years,” he said. When Bryan is not at work, he enjoys hunting, fishing, going on mud runs, anything to do with guns, and cooking on the grill with friends and family. 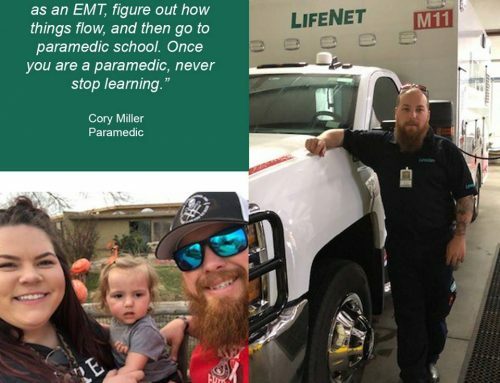 For others considering a career in EMS, Bryan has a few words of wisdom.